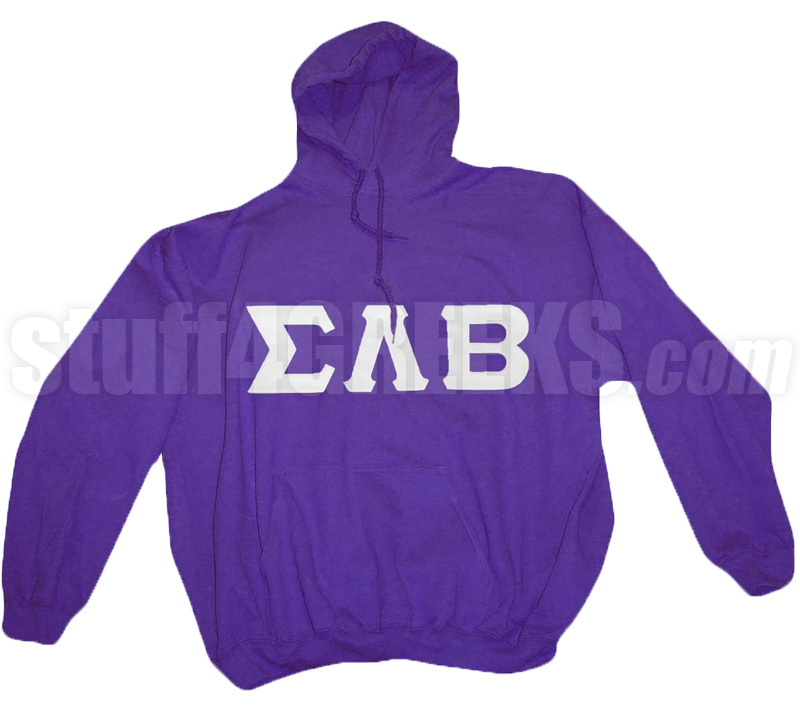 Purple Sigma Lambda Beta pullover hoodie with the Greek letters written across the chest. Q: Hi!! i was just wondering id there was a way for the letters to be purple with white outline? A: Yes. At the bottom of the order form is a field labeled "Special Instructions." You can use that space to let us know of any particular requests you might have.